This past summer, my best friend and her son, a mutual friend of ours, and my son and I took an eight-night adventure to the Pacific Northwest using points and miles that I had accrued. It was the first time most of us had been to the area, and we wanted to see as much of it as we could. We are all on fixed budgets, and I knew getting the five of us there and back without spending a lot was going to be a challenge. Luckily, I had started reading about earning rewards with credit cards, and I felt up to it. I had signed up for a few cards in late 2016 and early 2017 to get me started on my points and miles journey. First, I signed up for the Citi Premier Card when there was a 75,000-point sign-up bonus. I then picked up a Southwest Rapid Rewards Premier Credit Card with a 50,000-point bonus. Finally, to see more of the countryside (and since the two children love trains), I decided we’d take Amtrak from Portland to Tacoma. 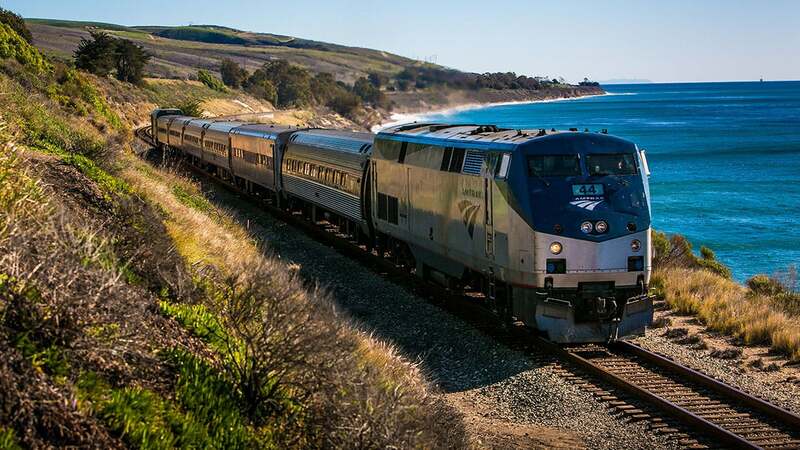 To that end, I signed up for the Amtrak Guest Rewards Mastercard with a 12,000-point bonus. I was able to book five tickets from St. Louis to Portland on Southwest for 42,445 Rapid Rewards points plus $28 in fees. I then booked five business-class seats on Amtrak for 6,129 points (this included lounge access in Portland and a food voucher for each of us on the train). Finally, I redeemed 69,240 ThankYou points to book our flights home from Seattle. I also made everyone sign up for an Alaska Airlines Mileage Plan account so they could start earning miles. We had a blast exploring the area, and none of it would have been possible without the use of points and miles. Now I’m hooked and I’m teaching my friends as well. We’re looking forward to additional trips together, and we have our sights set on Europe for next year. Thank you, TPG, for all the information you provide! Beth got a very good price of just under 8,500 points per person for her group’s flights from St. Louis to Portland. Nonetheless, it’s worth continuing to check award rates on Southwest even after buying your ticket, since you can rebook the same flight at a lower price with no penalty. That strategy is even more important when you’re booking for a group, since you may be able to score the discounted rate for each traveler. Nonstop flights along Beth’s route can sometimes be had for under 6,500 points per person; for a group of five, that translates to a total savings of around 10,000 points — worth $150 in my latest valuations. Another tip for booking group airfare is to make sure you’re not overpaying for the privilege of being on the same reservation. Airlines sell tickets in different fare buckets, and if there aren’t enough tickets available to accommodate your group at one price, you might all end up paying more. Before you purchase multiple tickets at once, I recommend checking the individual price so you have a basis for comparison. Splitting your group onto different reservations comes with its own set of complications, but once you know how much you stand to save, you can make an informed decision about whether the potential hassle is worthwhile. I love this story and I want to hear more like it! To thank Beth for sharing her experience (and for allowing me to post it online), I’m sending her a $200 airline gift card to enjoy on future travels, and I’d like to do the same for you. Please email your own award travel success stories to info@thepointsguy.com; be sure to include details about how you earned and redeemed your rewards, and put “Reader Success Story” in the subject line. Feel free to also submit your most woeful travel mistakes. If your story is published in either case, I’ll send you a gift to jump-start your next adventure.